You’ll be happy to know that accommodations are plentiful everywhere throughout the city. Madrid is filled with modern hotels, boutique hostels, and even comfortable apartments for your stay. One of the first things to consider when planning a trip to Madrid is deciding which neighborhood is right for you. Malasaña is probably Madrid’s hippest neighborhood with a thriving nightlife scene. You’ll find quirky bookshops and trendy second hand shops scattered throughout the neighborhood to satisfy all your shopping needs. Traditional Spanish bars are mixed together with new, modern restaurants, making Malasaña a great destination for all types of visitors. La Latina is another trendy neighborhood filled with narrow and winding streets. Known for its back to back tapas bars lining the streets, you’ll be very well fed if you choose to stay in La Latina. On Sundays, you’ll be able to easily make your way to the rastro flea market to find unique souvenirs and antiques to take back home. Lavapiés is a multicultural hub of local Spaniards and international immigrants. This neighborhood is a short metro ride from the city center, but has more affordable dining and hotel options compared to other places around Madrid. If you need a short break from tapas, then head to Lavapiés to dine on endless international dishes from around the world. Sol-Gran Vía is the very heart of Madrid, and the main center for most tourists. Here you can find large hotel chains and big name shopping brands whose bright neon signs light up the Madrid skyline at night. If you want explore small neighborhoods in Madrid during the day, but want to stay centrally located, then staying in Sol-Gran Via is for you! Like most large cities in Europe, Madrid offers an efficient underground metro system. Not only does Madrid’s Metro system connect you to most sites around the city (we are talking over 300 stations), but trains run frequently and into the late hours of the night. Taking the metro from the airport is a low cost way to get into Madrid’s city center. The journey only takes 12 minutes and a single ticket only costs 5.00 Euros. Since the ride into the city is fast and affordable, I recommend the metro over private taxis, which could cost up to 30 Euros for the short ride. Single rides can be used if you only use the metro to get from point A to point B. This is a great option if you prefer walking, taxis, or if you have a car and only need to use the metro once or twice during your stay. If you’re planning on using the metro for your entire journey, then buy the cost effective Tourist Travel Pass (Abono Turístico). This pass can be purchased for 1,2,3,5, or 7 days and allows unlimited rides on the metro and bus systems. This is a good option if you want to explore multiple neighborhoods or Madrid attractions during your stay. In order to use the Madrid Metro system, you’ll first need to purchase the Target Multi card to preload any of the options above. These cards can be found at most ticket machines and are valid for 10 years. 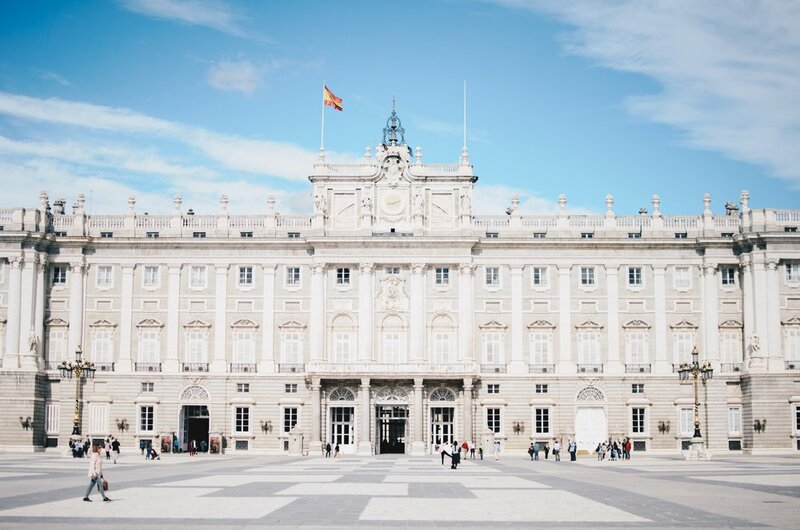 It’s impossible to experience everything Spain’s capital has to offer on a short trip, but there are a few must visit attractions and neighborhoods that you absolutely can’t miss if you’re looking to experience quintessential Madrid. 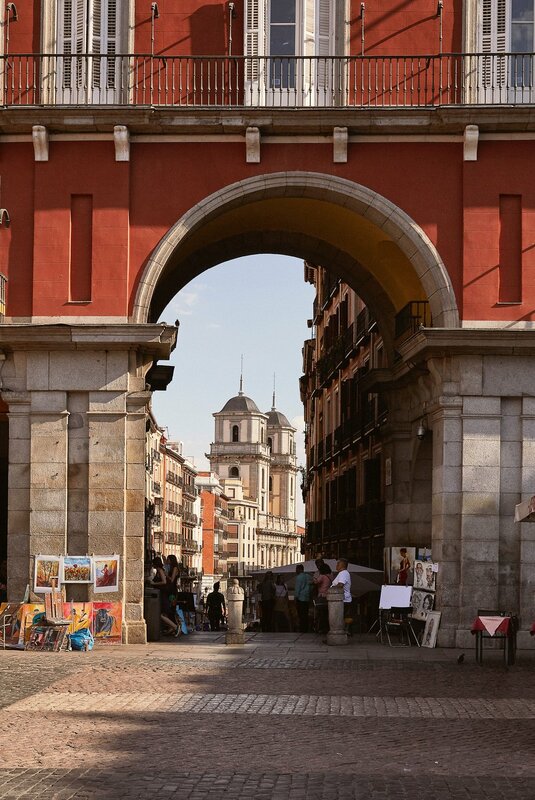 For all you art fans out there, Madrid is hands down one of THE best places to visit. Start at the Prado Museum, which houses some of the most well-known renaissance and baroque drawings, paintings, and sculptures in the world. Located right in the middle of the city, you’ll be easily able to spend the afternoon viewing the collections of Francisco Goya, Velasquez, and even Rembrandt here. If architecture is more up your alley, then you can’t miss visiting the different royal palaces scattered throughout the city. Palacio Real de Madrid is the largest palace in Europe, and is located right in the middle of the city center. Here you will find elaborate tapestries, crystal chandeliers and porcelain figures of classical Baroque style. If you just want to relax and watch the people buzzing around, then visit Plaza Mayor, Madrid’s most expansive open square. Lined with restaurants, shops and outdoor cafes, this square is the place to see and be seen. Plaza Mayor also hosts religious events, markets, wedding ceremonies and live performances throughout the year, making it one of Madrid’s social and cultural center. Sport addicts will also appreciate a visit to Santiago Bernabéu Stadium, home to the iconic Real Madrid football team. If you happen to be in town for a game, then enjoy the energetic, buzzing experience that is true European football. If you still want to visit when the team is not in town, then book a tour that lets you step into the heart of the stadium - the field! Don’t forget that one of best Madrid things to do is simply walk and explore! From dining at delectable cafes, to browsing the produce at local farmers markets, to even shopping for handcrafted gifts, you’re likely to find something you love by exploring Madrid on foot. Madrid is a foodie’s haven, and no trip would be complete without indulging in the region’s gastronomic specialties. If you want to dine like a local Spaniard, then plan a night of crawling through several traditional tapas bars! Tapas bars can be found on almost every street corner and the little plates of treats are the perfect accompaniment to your alcoholic beverage of choice. Tapas restaurants are plentiful in Madrid, but one of the best is Casa Gonzalez. Opened in 1931, this cozy and intimate bar has been serving some of the best jamón and queso platters for decades. Wash it down with a shot of vermouth before heading to your next location. For a modern spin on traditional tapas, visit Vi Cool. Managed by Michelin-star restaurant owner Sergi Arola, Vi Cool is a seafood and meat lover’s paradise. If you can’t decide on which tapas to order, try out their finger food menus to sample a little bit of everything delicious they have to offer. If you want to experience the epitome of Madrid’s food scene, then stroll through one of the many food halls and markets. Mercado de San Miguel is the most famous Madrid market where you’ll find everything from cheesy Spanish omelettes to crispy fried fish to creamy custard pastries. This is one of the most popular (and better yet, most delicious) Madrid attractions! For a market that is off the beaten path, then visit Mercado de Maravillas. Wind through the hundreds of fresh fruit, seafood, and meat and cheese stalls to see local restaurant chefs and owners shopping for their daily menus. Don’t forget that Spanish dining hours might be different than what you are used to! Lunch time is usually between 2pm and 4pm, with dinner starting around 8pm. While it’s not difficult to find chain restaurants or cafes open outside these hours in touristy areas, independently operated restaurants will most likely open their doors during the respective eating times. Now that your bellies have been stuffed with Spanish delicacies, it’s time to hit the town for some dancing and drinking! Madrid nightlife is one of a kind, with party goers enjoying themselves into the early hours of the morning. Teatro Kapital is your one stop shop to experience Madrid. This iconic club is complete with seven floors of dancing, a lush rooftop bar, a movie theater and even a karaoke stage. 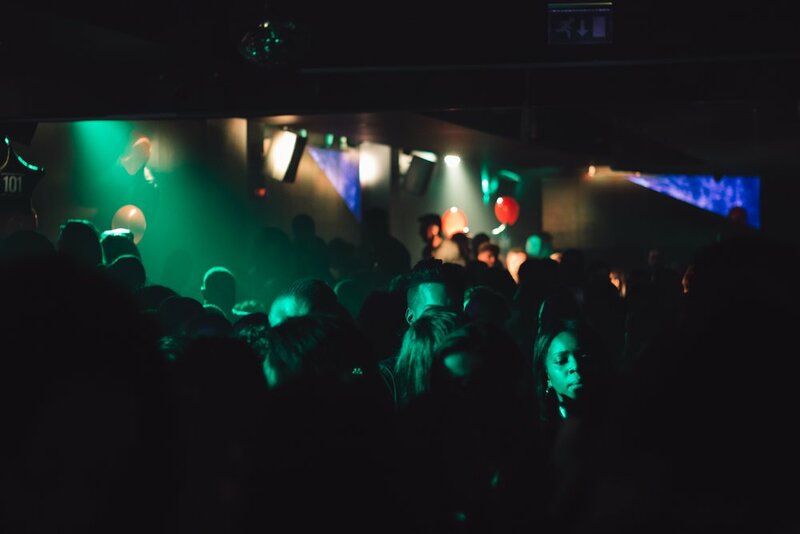 If you’re looking for the type of nightclub to keep you energized until dawn, then Kapital is the place to be. For a more relaxed evening, start your night bar hopping through the La Latina neighborhood. The center of Madrid’s social life, La Latina boasts alleys and alleys of trendy, boutique bars. You’ll be rubbing shoulders with some of the young and hip locals while sipping on hand crafted cocktails. If live music is more your jam, then visit Cafe Central. Down a few glasses of wine while enjoying some of the best live jazz music in the city. If you’re looking for something more upbeat, then Cafe La Palma is for you. This cool club offers a live concert hall for rock bands or open mic nights, and a dance floor for techno and electronic, hip-hop, and other DJ sets. Madrid is one of those cities that never sleeps and Spain itself is a country full of life and culture. Whether you’re exploring Seville, laying on the beaches in Tenerife, or even roaming Madrid or Barcelona, Spain has something for you to discover!